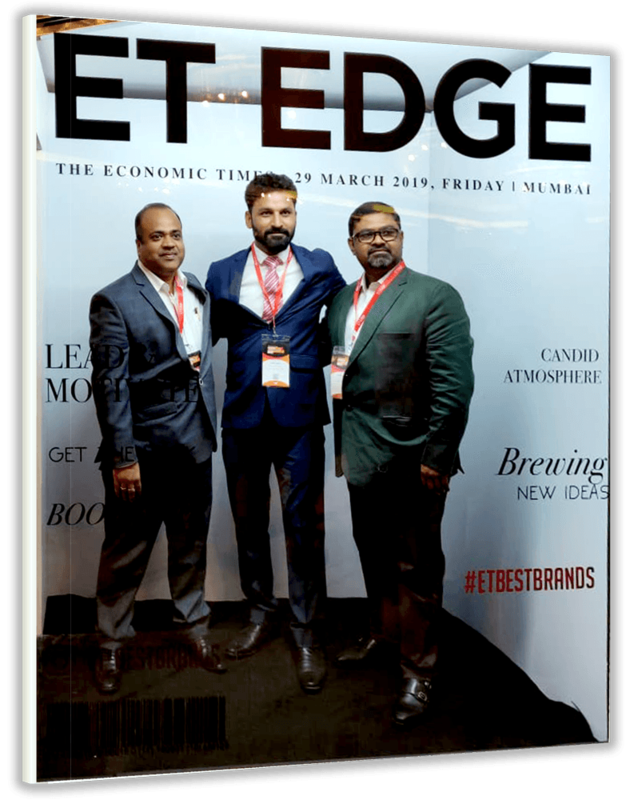 HostBooks Founder & Chairman CA Kapil RANA has been awarded “The Most Promising Entrepreneur 2019” by Economic Times. Bollywood actor Mr. Ashish Vidhyarthi and Ms. Sunita Quadros, Senior Vice President, Times Strategic Solutions Limited, presented the prestigious award to Mr. Kapil RANA on March 29, 2019, at Hotel Sahara Star, Mumbai. With a vast experience spread across strategic management, corporate development & structuring of multinational organizations, Mr. Kapil RANA began his journey as the founder of HostBooks in 2009. Being a Chartered Accountant, helped him gain a deeper insight into the issues that are affecting the accounting sector. This acted as the driving force behind the development of HostBooks All-in-One Automated Accounting Software. HostBooks software provides the CAs, small businesses and other accounting professionals with a complete solution for GST, E-Way Bill, TDS, Accounting, and Tax. The inbuilt cloud feature allows users to manage accounting & compliance anywhere anytime. It aims at saving the time spent on compliance by at least 70%. HostBooks has brought a sigh of relief to CAs, small businesses, and accounting professionals who were otherwise unable to cope up with the manual accounting pressure. With HostBooks accounting software, the user will be able to work smarter while managing his finances in a few clicks. The financial position of the business is displayed in real-time. Auto document management system, smart cash invoicing, and AI-based reconciliations help business owners scrutinize every financial aspect of their businesses. Under the leadership of Kapil RANA, HostBooks has now become one of the best and reliable accounting and tax compliance software. 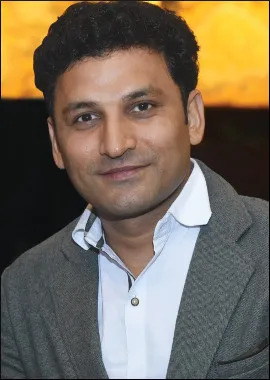 The Most Promising Entrepreneur 2019, Mr. Kapil RANA says, “HostBooks is the perfect blend of accounting and cutting-edge technology. With the help of automation techniques, we strive to refurbish traditional accounting methods. The introduction of GST return filing and E-Way Bill is posing challenges for small businesses. Hence, we have developed a comprehensive platform that makes GST, E-Way Bill, TDS, and Tax easy and hassle-free." 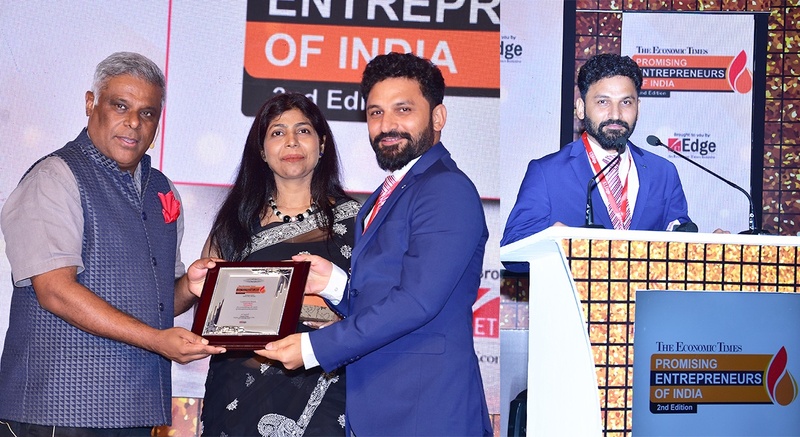 Economic Times organized the 2nd edition of Most Promising Entrepreneurs of India 2019 on 29th March at Hotel Sahara Star, Mumbai. The event aims at recognizing creative minds determined to ascend to the summit of their respective sectors. This year HostBooks bagged the title of "The Most Promising Entrepreneur of India". Bollywood actor Mr. Ashish Vidhyarthi and Ms. Sunita Quadros, Senior Vice President, Times Strategic Solutions Limited, presented the award to HostBooks Founder & Chairman Mr. Kapil RANA. HostBooks is a one-stop solution for all the accounting and compliance needs. It provides a comprehensive solution for GST, E-Way Bill, TDS, Accounting and Tax. The inbuilt cloud feature allows users to manage accounting & compliance anywhere anytime. HostBooks accounting software aims at saving the time spent on compliance by at least 70%. 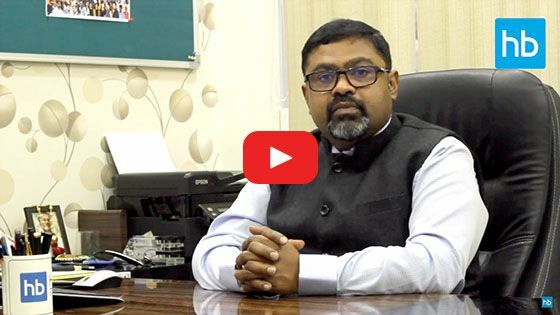 Under the leadership of Founder & Chairman Mr. Kapil RANA, CEO Mr. Amit Mukherji, and CDO Mr. Biswajit Mishra, HostBooks has become one of the best accounting & tax compliance software. Their knowledge, rich experience, and expertise are the driving forces that help the team build a seamless automated accounting solution. They make sure that the software is designed on structured data flow design, ensuring minimal data input. Being aware of the issues affecting small businesses and accounting professionals, the team focuses on alleviating these issues with cutting-edge technology. "Being rewarded as the most promising entrepreneur of India 2019 by ET is like a dream come true. We are ready to go an extra mile to provide the users with seamless user experience." - Mr. Kapil RANA, Founder & Chairman, HostBooks. "It's a great feeling to be among the most promising entrepreneurs of the country. We understand the plight of small businesses. Hence, we have designed our software to meet the accounting needs of small businesses anytime anywhere. We have deployed a combination of automation techniques and accounting expertise." - Mr. Amit Mukherji, CEO, HostBooks. "To find a place among India's most promising entrepreneurs is a feeling that can't be described in words. With HostBooks accounting and compliance software, we strive to make accounting and compliance automated, easy to understand, and hassle-free. Kudos to Team HostBooks!" - Mr. Biswajit Mishra, CDO, HostBooks. HostBooks, a Cloud based Accounting and Compliance application platform with a perfect blend of accounting and cutting-edge technology. The software serves as an all-in-one accounting solution for Accounting, GST, Payroll, E-waybill, TDS returns, business finances, bank transactions etc. HostBooks has taken automation into the next level, it’s simple and conclusive automated workflows helps you to save your precious time immensely. Clients can enter any financial information into the system and set up a workflow that automatically updates all the other accounting information each month or at any required time. Through AI based automation, HostBooks has been able to solve many time ticking financial responsibilities such as reconciliation, bank transaction imports, and payments, tax returns to quick, simple, effective so, that there’s far less valuable time spent such tasks. Along with this, HostBooks cloud-based platform gives a complete GST solution in a single enclosure. Helping in overcome the impediments related to GST billing and return filing, an easy import of GSTR-2A, auto-matching, and reconciliation, automatic reminders, and single sign-on authentication, HostBooks works to ease out the burden with the help of automation. The HostBooks E way bill tool renders an effortless E-way bill generation with an immediate cancellation and rejection facility. The software is integrated with the government portal providing real-time updates. All the applications are also available as mobile apps, enabling users to access the information through its mobile device. 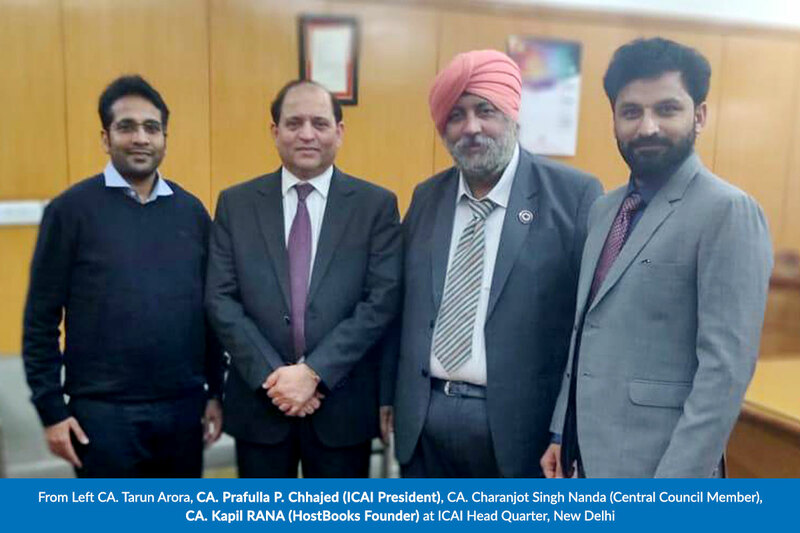 HostBooks Founder & Chairman, CA Kapil RANA met the ICAI President, CA Prafulla P. Chhajed today at ICAI Headquarters, New Delhi. Central Council Member, CA Charanjot Singh Nanda, ICAI Acting Secretary Rakesh Sehgal, and CA Tarun Arora were also a part of the meeting. The main agenda behind the meeting was to discuss the issues that the Chartered Accountants are coming across. The meeting began with a discussion of the major accounting issues and how IT can play an important role in curbing the same. According to experts, cloud technology and automation can transform the way Chartered Accountants work. The cutting-edge technology if implemented has a capacity to reduce the time spent on compliance by at least 70%. Consequently, this will save an ample amount of time and enable them to channelize their efforts towards the core processes, requiring immediate attention. HostBooks Founder & Chairman CA Kapil RANA further elucidated that HostBooks began its operations with the same concept in mind. It aims at providing an apt solution to all the problems that are hampering the efficiency of the Chartered Accountants. HostBooks software has been developed with a perfect combination of accounting and the latest technology. It is an integrated All-in-One cloud-based software, which makes Accounting, Tax, GST, TDS and E-Way Bill easy and hassle-free for the CA fraternity. The experts concluded the meeting saying that Information & Technology plays a pivotal role in taking accounting to the next level. And, companies like HostBooks, which are ready to walk the extra mile will help bring a major transformation in accounting. HostBooks CEO Mr. Amit Mukherji's exclusive interview on "Sangharsh se Shikhar Tak". HostBooks officially launches its automated cloud accounting software in India on February 21, 2019. It offers a hassle-free accounting and compliance solution blended with advanced technology on a single platform. After its successful launch in the USA on January 19, 2019, HostBooks is all set to overcome the struggles of Accounting, GST, E-Way Bill & TDS in India. It aims at transforming and enriching accounting and compliance through its structured and automated cloud-based accounting platform. HostBooks combines the usual accounting practices with cutting-edge technology. Hostbooks, a company incorporated in 2009 into accounting solutions for individuals and business unveiled the new accounting suites on the cloud for their B2B business partners. The company’s new software suite is a comprehensive platform for Accounts, GST, TDS and Payroll. HostBooks with their punch line “The language of business” is all set to transform and redefine the method of maintaining accounts books and tax compliance in India. The initial monthly costing in the Indian market will be in the bracket of INR 1,000 to INR 2,000 and for the USA market, it will be starting from USD 50. The company has a team size of 120+ in India and USA. Hostbooks is an integrated All-in-One cloud-based application, which enables users to maintain Accounting, Tax, GST, TDS, E-Way Bill and Payroll records providing statutory compliance and single click filing service for small and medium businesses. Hostbooks is been developed using automation techniques with the latest technology. In India with the changes in the economy and tax structures, statutory compliance has become more complex and cumbersome and SME’s have to invest their valuable resources/time/money in complying with various recurring (monthly/quarterly/annually) compliances rather than focusing on their core business. In India, Hostbooks envisages making the whole process of accounting and compliance automated, easy to understand and hassle-free. Hostbooks is a versatile platform catering to all industries focusing on medium and small enterprise (SME’s) in India. It also showcases its expertise to cater needs of the professionals like CA’s, Accountants, Cost Accountants, and Tax Practitioners. Automation of accounting and compliance function is the unique offering of Hostbooks. Moreover, a person does not have to be an accountant to use our software unlike other accounting software programs available in the market. In order to start managing your finances with HostBooks, all you need to have computer knowledge and minimal or limited accounting knowledge. Knowing well about what happens tomorrow and the day after across the financial ecosystem, is one of the primordial aspects which every business currently requires to stand an edge above the spurting competition. Accounting and bookkeeping in fact has the innate advantage to analyse the data and numbers of today to predict the financial status of any business for the next day as well as its imminent future. Clearly, these services drive the businesses even across the uncharted financial waters and generate efficient plans for their prospective growth.